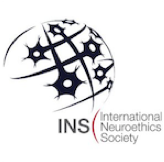 The following post is part of a special series emerging from Contemporary Issues in Neuroethics, a graduate-level course out of Emory University’s Center for Ethics. Shaunesse' is a dual masters student in Theological Studies and Bioethics at Emory and her research interests lie in end-of-life care and religious practices surrounding death and dying. Are religion and spirituality authentic belief systems that have thrived for millennia because of their truth? Or are they simply constructs of the brain to help humanity cope with the unknown? With the advancement of science, can religion and science work together to understand humanity? What do religion and science have to say collectively that has not been said individually? These questions continue to be asked with each scientific advancement, and even more so now that neurotheology is beginning to develop as a sub-discipline of neuroscience. Neurotheology is generally classified as a branch of neuroscience seeking to understand how religious experience functions within the brain. The field has recently taken off and continues to grow thanks to the research of Andrew Newberg and Mark Robert Waldman, but its aims were first pursued by James Ashbrook. For Ashbrook, the goal of neurotheology is to question "and explore theology from a neurological perspective, thus helping us to understand the human urge for religion and religious myths." These definitions seem very similar, but one implies that neurotheology is subordinate to theology and the other presents neurotheology as subordinate to neuroscience. This ambiguity becomes more muddled by Newberg in his work Principles of Neurotheology, where he supports the notion that competing and open-ended definitions for terms such as “religion,” “theology,” “spirituality,” and “neuroscience” are acceptable. In promoting open-ended definitions, Newberg may have suggested starter definitions as a basis for terms in this emerging field, such as “religion” as a particular system of faith and worship; “theology” as the study of God and God’s relation to the world; “spirituality” as the search for independent or transcendent meaning; and “neuroscience” as the study of how the nervous system develops, its structure, and what it does. Not just unique to religious and spiritual communities, scientists also have misguided understandings of neurotheology’s intended purpose, desiring to use the branch as a means of ruling out religion as something that humanity and the mind should still be subjected to in an age of rapid scientific advancement. Through a series of experiments Michael Persinger induced various types of thoughts and feelings while research participants were told to imagine seeing God. His experiments led him to the conclusive theory that "[s]eeing God’ is really just a soothing euphemism for the fleeting awareness of ourselves alone in the universe: a look in that existential mirror. The ‘sensed presence’-now easily generated by a machine pumping our brains with electromagnetic spirituality-is nothing but our exquisite and singular self, at one with the true solitude of our condition, deeply anxious.”[xi] Maintaining open-ended definitions continues to pit the scientific community against the religious community because both desire to use a seemingly unified field for the purpose of proving the truth of their own claims. Neurotheology has the potential to unite scientific inquiry and religious experience to not only understand the relationship between the two as they exist in the brain, but also to answer questions of who we are and why we are who we are; however, Newberg’s hopes of having such a broadened dialogue with two opposing fields leads to the loss of neurotheology’s purpose. Misinterpretations, intentional rejection of purpose, and unsuccessful methodologies abound as obstacles to neurotheology uncovering more about the nature of being human and humanity’s relationship to generations of persistent beliefs. Can these two fields be successfully integrated? If so, is “neurotheology” the best way to characterize the uniting of two fields that themselves include the conflation of many different disciplines and practices? Maybe we can get there, but one of the first steps must be to concretize the objectives, terminology, and scientific approaches before we can truly uncover the relationship between the mind and religious experience. [i] Shukla, Samarth, Sourya Acharya, and Devendra Rajput. "Neurotheology-Matters of the Mind or Matters That Mind?" Journal of Clinical and Diagnostic Research : JCDR. JCDR Research and Publications (P) Limited, July 2013. Web. 01 Mar. 2015. [ii] Newberg, Andrew B. Principles of Neurotheology. Farnham, Surrey, England: Ashgate Pub, 2010. Print. [iii] “Religion." Merriam-Webster.com. 2015. http://www.merriam-webster.com/dictionary/religion (8 April 2015). [iv] “Theology.” Merriam-Webster.com. 2015. http://www.merriam-webster.com/dictionary/theology (8 April 2015). [v] "Body/Mind/Spirit-Definitions and Discussion of Spirituality and Religion." Body/Mind/Spirit. Georgetown. Web. 08 Apr. 2015. <http://nccc.georgetown.edu/body_mind_spirit/definitions_spirituality_religion.html>. [vi] "About Neuroscience." About Neuroscience. Georgetown University Medical Center, n.d. Web. 08 Apr. 2015. 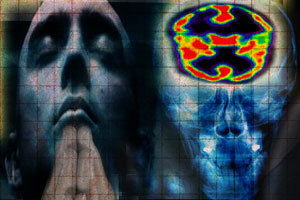 <http://neuro.georgetown.edu/about-neuroscience>. [vii] Newberg, Andrew. "Dr. Andrew Newberg On God of the Fundamentalist Athesit." Interview by Steve Volk. Skeptico: SCience at the Tipping Point. N.p., 26 Apr. 2011. Web. 20 Mar. 2015. <http://www.skeptiko.com/135-dr-andrew-newburg-on-god-of-the-fundamentalist-atheist/>. [ix] Winkelman, Michael. "Professor Argues That Shamanism Is the Original Neurotheology." Neurotheology & Shamanism. Greenwood Press, 5 June 2001. Web. 20 Mar. 2015. <http://www.cognitiveliberty.org/neuro/winkelman1.htm>. [xi] Hitt, Jack. "This Is Your Brain On God." Wired. N.p., Nov. 1999. Web. 20 Mar. 2015. <http://archive.wired.com/wired/archive/7.11/persinger.html?pg=1&topic=&topic_set=>.